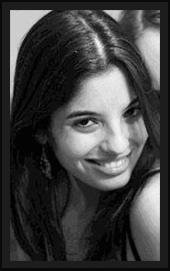 Noga Ashkenazi is an award-winning Director/Writer/Producer with several years of professional experience working in Theater and Film. Over the years, Noga has directed and choreographed numerous music-videos, short-films, musicals and plays. She studied Filmmaking at the Sorbonne University in Paris, France, and holds a degree in Theater and Dance from Grinnell College, where she graduated as Valedictorian of her class. Noga won the Best Documentary Award at the Julien Dubuque Int’l Film Festival in 2013 for “The Grey Area,” her feature-length documentary debut. Noga previously worked in the Los Angeles film industry as Director of Creative Development at a film production company in Paramount Studios, where she supervised script-selection and project-development, and worked closely with producers, agents, writers and directors to provide creative input on the company’s slate. Read more on Noga Ashkenazi’s official website. Amelia Peterson is a Los Angeles-based freelance editor originally from Omaha, Nebraska. After graduating with a degree in Broadcasting from the University of Nebraska-Omaha, she pursued editing and traveling, which eventually took her to the Maine Media Workshops where she worked as a Staff Editor for the Post Production facilities before moving across the country to Los Angeles. Eric Santiestevan is a film composer and songwriter. He has been drawn to music ever since he walked headfirst into a stereo speaker at the age of 3, necessitating a few stitches. He began to write jazz and choral arrangements while at Harvard and then went on to play in several rock bands before enrolling in the UCLA Film Scoring program. Since 2005, he has been composing for feature films, shorts, and webisodes, including the documentary Divided We Fall and the web series The Hustler.